This Shabbat, on which we are reading Pekudei as the parashat hashavua, is also known as Shabbat Shekalim. Yes, the Shabbat of the Shekels. This special Shabbat is not necessarily tied to the parashah called Pekudei, but it’s not entirely inappropriate, since this last reading in Exodus consists of an audit of the records (in Hebrew, “records” is pekudim) as well as the account of, finally, the erection of the Mishkan, the space the Israelites are constructing in order to have a designated place for their kavanah (spiritual intention). Thus the place is called the place to meet G-d, although everyone agrees that no one space contains the holy. This Shabbat is called Shekalim because it is the first of four special Shabbatot that focus on the upcoming Festival of Pesakh. Shabbat Shekalim always occurs on the Shabbat before Rosh Hodesh (the beginning of the month of) Adar (or Adar II in leap years such as this year). On this Shabbat, a special extra reading is added to the regular Torah readings for Pekudei. The extra (maftir) reading comes from a text earlier in Exodus which describes a half-shekel tax collected from all the Israelites. It is read on this Shabbat because the tax, which became a yearly tax in later Israelite history, was due on the first of the New Year, which begins with Rosh Hodesh Nisan. This raises some interesting questions which shed light on our ancestors’ culture and social organization. 1. What was the original purpose of the tax? It was a way of conducting a census. Since it was believed that counting the people was bad luck and had been demonstrated in the Torah to bring on a plague, there was – and still is – a reluctance (call it a superstition) to count people. Even in a traditional shul today, one does not count people when checking to see if we’ve reached the minyan number of ten; rather, a gabbai might use a verse such as Psalms 5.8. וַאֲנִי–בְּרֹב חַסְדְּךָ, אָבוֹא בֵיתֶךָ; אֶשְׁתַּחֲוֶה אֶל-הֵיכַל-קָדְשְׁךָ, בְּיִרְאָתֶךָ. As for me, I come into Your house filled with the joy of Your Presence; I bow in awe of the holiness of your Plac e.
3. Why a half-shekel apiece? isn’t that a regressive sort of flat tax? There are other taxes that are tied to one’s income; this small contribution has a more symbolic value, that of reminding us that this Temple tax asserts that we are all equal before G-d. Further, the application of this tax to all of us demonstrates our belief that each of us has an equally valuable contribution to make to our congregation. The last phrase of the mitzvah (the obligation commanded here) is the most provocative, describing the tax as an “atonement”. It is easy to see, and assert, that no one is too poor to give, and to understand why the rich are not allowed to give more, but why is the giving an atonement? Perhaps because each of us needs to atone for either feeling sorry for ourselves that we don’t have more, or looking down on others who don’t have as much as we do. In the act of giving the very same thing, each one of us and all together, we are invited to atone, which is to say, to return to a place of at-one-ment with each other. Our Mishkan, our sacred space, exists because of the support of each one of us, and that support is equally valuable, equally necessary. The offerings of our hearts, minds and wherewithall are all needed if we are to fulfill the mitzvah “with all your heart, with all your soul, with all your might”, from the Shema. The name of this week’s parashah is VaYakhel, from the word kahal, or kehillah – “gathering”. The people are gathering for the purpose of building the Mishkan, the sacred space that will be dedicated to their longing to feel G-d’s presence. They are gathered together not as the am, the people, and not as the eydim, the witnesses who entered into the Covenant; here, our ancestors, working together on building a place, are the kehillah. There’s a necessary balance here between two concepts which exist in an inevitable tension: our sense of the independent value of each human being, and the vital importance to our lives of meaningful community. Each person is to bring the gift of her or his own ability and willingness, and all must be woven into a coherent whole. A building is not well-built without careful plans, and a community does not thrive without individuals willing to bring their gifts as they are needed – and not just when the individual feels like it. The teaching of the word VaYakhel, is in the detail that the people here are not primarily individuals, but individuals who have become a meaningful collective. Kehillah refers primarily to what it means to gather for the purpose of creating sacred space, and, through that act, to create a sense of Place, where that word – Makom in Hebrew – is a Name of G-d. In other words, when we gather with a sense that we gather in order to evoke the sacred, we find ourselves in the Place of G-d’s presence. We do not bring G-d into our midst, rather, we become aware that we are already standing in the Place of G-d. A gathering like this is called a kehillah kedoshah, a “sacred community”, and by default, every Jewish congregation is referred to traditionally with that phrase. It’s an aspirational name, reminding us of why we come together and for what reason. And it’s also a challenge: can we come to realize that in relationship to G-d we do not go looking for the divine, but rather open ourselves to the reality that we are already surrounded, supported, and suffused with the Presence. As the mystics put it, we are each a drop of water, and G-d is the ocean. At our best as a congregation, Jews are a kehillah. That does not mean that we are always in agreement with each other, nor that we will all be best friends. A kehillah is a gathering of us when we are mindful of the fact that we are needed to step up, each of us, bringing our own individual talents and sensitivities, to create a sense of Place where all of us feel safe in belonging, even when we do disagree. Underneath it all, after all, we are one people, all of us in need of support, all of us in need of kindness. In G-d’s presence there is no lack; there is always a place at the table, and always enough love for us all. We act as a kehillah when we deliberately act in love, no matter what the provocation. Let G-d’s shefa, “abundance”, surround you, and may you know the deep joy of opening up to let it flow through you and to your kehillah around you. The middle third of the parashah on this Shabbat, Ki Tisa, begins with Moshe on Mt Sinai receiving the Word of G-d in the form of “tablets of testimony written with the finger of G-d.” (Exodus 31.18) At the same time the Israelites, who are waiting below in the valley, become restive. What’s taking so long? Down below in the valley of the shadow of doubt, the Israelites were having no such peak experience. The leader who was their emotional anchor had asked them to wait for him, and in their anxiety, the time cannot pass quickly enough. They are looking for leadership; they are nervous about the lack of communication; in short, they are not feeling serene and trusting. As the Torah relates, G-d was aware of this and the awareness communicated itself to Moshe, who hastened down the mountain to respond. The waiting Israelites cannot relate to the fact that Moshe was having a fantastic experience; they only know that he was not there for them, and they are in pain. Both felt let down; both experienced a sense of being misunderstood, of being lied to, of being betrayed. And both sides, each in their way, were right. Here are several chasms: between mystical experience and the everyday, between leader and follower, between the one leaving and the one waiting to be returned to. It is so easy to get caught up in one’s own experience – which is, after all, paramount by definition – and so difficult to remain aware of those others who are waiting for word. But it is necessary to do so if one would move in the world ethically. Note the description of being close to G-d: “I was as if I were not.” That does not mean that one who is close to G-d ceases to exist; just that one who is close to G-d ceases to be blinded by the ego, the “I”, and is given a new ability to see, and take note of the reality of others. Once upon a time Rabbi Preda was teaching a student when he was told that he was going to be needed for a mitzvah related to tzedakah. Rabbi Preda taught the student as usual, but on this day the student could not grasp the material as usual. Rabbi Preda reviewed the material to the student four hundred times. “May my generation be given life in the World to Come”, Rabbi Preda answered. The essence of Jewish ethics is to be able to put ourselves in the place of others; to empathize with them, not to judge them in their vulnerability. May we be humble enough to be alert to those who are waiting for a word from us, distracted by anxiety and afraid of betrayal, and may we recognize our own needs for reassurance in theirs. Our parashat hashavua (the parashah, “reading” or “portion” for this shavua, “week”; notice that the h changes to a t when parashah is modified by the specific week’s reading) is Tetzaveh, “[you shall] command”. 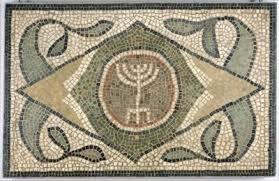 This is the lamp indicated: the seven-branched menorah. 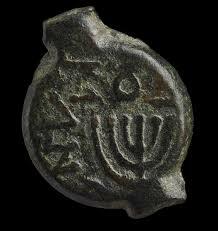 This most ancient of Jewish symbols is attested throughout Israeli archeological sites. This powerful symbol of light kept perpetually kindled was a beacon, more than simply visually, for our people through the course of much darkness. What is the way in which we are commanded to keep this lamp alight? Our teacher Nehama offers the commentary of prior Rabbis and Sages, focusing upon one verse, the first verse of the parashah. 1. Moshe’s name does not appear in this parashah, alone of all the parashiot of the Torah which include him (that would be 4 out of the 5 books). Perhaps this signals his feeling diminished, because he knows now that he will not be the High Priest – that job goes to his brother. Here, G-d reassures Moshe that his is really the superior position, since he relays the commands that Aaron must follow. In this particular case, that point is underscored by having Moshe stand in, as it were, for G-d.
2. This is not about Moshe at all. The words you yourself are without a pronoun because the command is for you yourself, and I myself, and all Jews. Our obligation is to bring ourselves. Where? Toward G-d, via the light that we are commanded here to kindle, in company with all those who travel our spiritual path. Bring yourself, and help to bring others, for although there is an important individual link we each seek to experience to life, there is for Jews also and always the mystery of how we experience G-d’s presence only in community. Now, about the command itself: from Sifre Naso, a collection of ancient interpretation, we find several levels of human context. First, the idea of eternal loyalty to the Word of G-d, implied in the regular lighting of a symbolic lamp, which must be tended twice a day at the very least. Between Rabbi Judah and Rabbi Shimon there is an entire world of human religious behavior. Enthusiasm and monetary loss; are they poles or does one imply the other? At the very least, enough enthusiasm for anything is going to cost you: just look at the price of a child’s sports or arts enthusiasm (uniform, instruments, lessons, shows or games….) and this is not less true for adults. Anything worth being enthusiastic over will demand a price from us. This is the Jewish path: it demands b’khol levavkha, b’khol naf’shekha, uv’khol m’odekha, “all your mind, all your emotions, all your resources”. (Deuteronomy 6.5, and also found as part of the Shema in the siddur). There are days when we fulfill mitzvot as if they were delightful good deeds, with enthusiasm, feeling good about ourselves and our Jewish ethics. And there are days when we must be reminded that we are obligated beyond our comfort level. Certainly, our enthusiasm for our Jewish community demands time, talent and money from us. There are days when we don’t count the cost because of our delight; other days we may need to be reminded that we are obligated to nurture and strengthen it. If Jewish community is to exist, we all have to bring our enthusiasm and our monetary contributions. In sociological studies of Jewish baby boomers it has been noted that the only religious paths which are strong in our post-modern Western society are those which expect excellence and commitment. We expect the best of our schools, our leaders, and our society – why would we settle for less in our religious community? For a generation, Jewish leadership tried to make it as easy as possible to keep Jews attached to religious communities – changing holiday observance to the nearest convenient Shabbat, for example, or refusing to make strong statements about ethics in society that might alienate some. And what we have found is that the half-serious practice of Judaism produces half-serious Jews who cannot stand strong when the winds of uncertainty and stress challenge them. Obligation to excellence apparently nurtures stronger and more meaningful lives. It’s still okay to moan about it, of course….on our way to showing up and being counted. Each one of us – you yourself – must see ourselves as obligated, whether enthusiastically on any given day or not. Each one of us is necessary if we are to keep that lamp alight. “This too is Torah, and I need to learn it.” Two millennia ago the renowned sage Rabbi Akiba asserted that Torah is not only that which is written on the parchment of the sefer Torah, the Scroll of Direction (the Hebrew verb root h.r.h means “teaching”, and also “aiming” as well as “indicating direction”). Torah is also expressed through the exegesis that gives us midrash, “investigation”, and halakhah, “path”. This larger sense of Torah is contained, more or less, in Talmud, the sixty-three tractates (volumes) that derive from the Five Books of Moshe. But it is not contained fully, for it was already acknowledged even then that there was more that would unfold, and in a very real way, “that which a veteran student will, in the future, innovate before his teacher was already said to Moshe at Sinai” (Jerusalem Talmud, Peah 17b). Clearly, then, there is more to any given parashah than meets the eye. The parashah we read this week, parashat Terumah, gives us a minutely-detailed description of the Mishkan that the Israelites were to build in order to evoke the Presence of G-d in their midst. Chapter after chapter, verse after verse, is devoted to the topics of what goes inside the Mishkan, what goes outside, and of what it is to be made. The dimensions of objects as well as their composition, number, color, and purpose are all specified. One might see this as exactly the challenge offered to the “veteran student” mentioned in the Jerusalem Talmud passage above. What are we to make of this verse? If we accept that each word and each verse has value prima facie, then the challenge is not to the text, to prove its relevance, but to us, to prove our ability to see that relevance. It’s not so far away. Much can be understood and derived from such a verse once one enters the interpretative world of our tradition. 1. In Jewish tradition, one important way to demonstrate the respect we show for that which we hold sacred is to bring our best effort to it. “Skilled workers” are to make the curtains. When we are building something important, than, we are to look through our community for those best suited and most capable. Art is best done by the artistic. 2. Blue, purple and red – תכלת, ארגמן ותולעת שני – tekhelet, argaman v’tola’at shani – are important colors in the ancient Near East, all of them bright and deep (and expensive). The blue tekhelet color is also that which we are commanded to include in the fringes on the corners of our garments. Perhaps in that way the fringe – the tzitzit – is meant to remind us of the Mishkan, and what it symbolizes. 3. 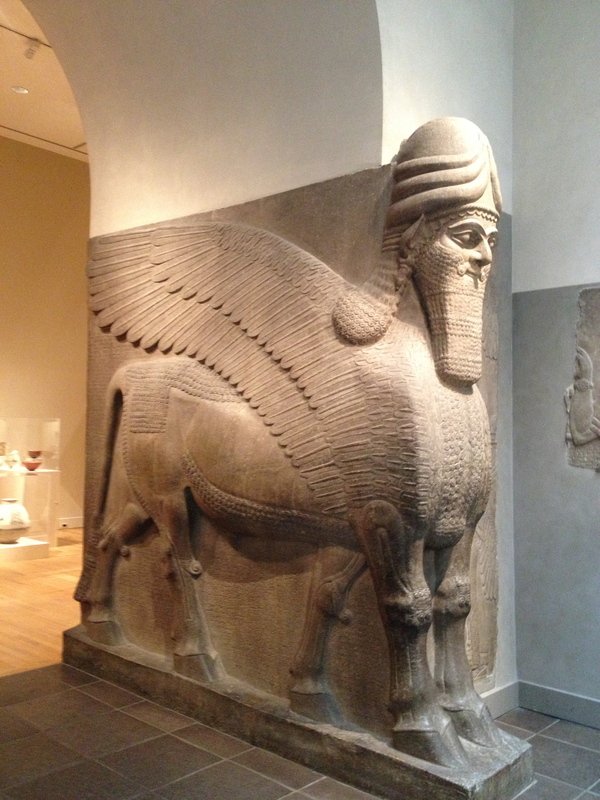 Kheruvim are fantastic creatures that were imagined to be among the animal and human-like servants that surrounded our G-d; for example, G-d is described as “riding on the back of a kheruv” into battle with Pharoah at the Reed Sea during the Exodus. They are symbols of divine power and awe. Our ancestors guarded every detail of the Mishkan for the ages because it was the most important structure they built; they built it together, they brought their best people to it, and they made it a place that evoked their sense of awe for the holy. In such a place, that means so much, there is no such thing as too many details, for every single one is a precious part of the whole. As are you and I in the building of our own Mishkan today.